Western slope of MT Rainier ready to collapse and blow up, spewing lava and producing lahars (destructive mud flows). Scientists predict not if, but when MT Rainier blows, it will be the worst disaster in America’s history. Scientist do not when, however, God does! And God is faithful to warn His people living near this unsuspecting deadly danger. In 2014, I was led to put forth a prophesy entitled, God is Raising His Voice. 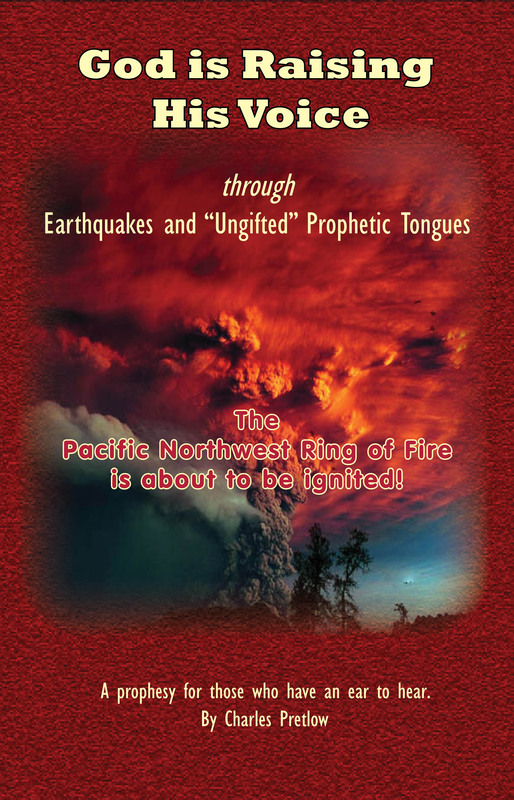 In light of the increasing volcanic activity in Hawaii, I am compelled to share this prophetic message and get it into the hands of pastors and leaders and Christians living in the mud flow areas of MT Rainier. Many in the valleys below MT Rainier may have a surviving chance if they are warned in time to prepare in advance, by knowing that this long time volcanic threat is coming soon, very soon – many may be led by the Lord to relocate or at least make provisions and plans to escape to high ground in a minute’s notice. Once the lahars warning system is activated it is estimated that those communities in it’s path might have 40 minutes to escape. Streets and main escape routes will be jammed in minutes, leaving the unprepared stranded in their vehicles doomed, or buried alive in their homes encased in concrete like mud, as high as 40 feet. When MT Rainier begins to increase in earthquake activity (swarms of small earthquakes and larger tremors) and others initial indicators, then know that is the time to make way to high ground, relocate, or find a place to stay temporarily. Many will say it can’t happen, however, the Lord is saying, it will happen this time. If people wait until Rainier blows it will be too late for many to run or drive to safety. Staying in shelter will not save anyone caught in the path a lahar mud tsunami. Despite the government warning systems in place, scientist estimate that over 20,000 people will suffer loss of life. Rainier poses extreme risk to life and property, as many communities lie atop older lahar deposits. View this History Channel YouTube video of MT Rainier’s deadly destructive force to get a proper understanding. I was not given a specific date; however, the area of MT Rainier and the massive destruction was very clear that the western slope will blow out followed by lava. More importantly this event is close at hand. View my recent message, God is Raising His Voice. This prophesy came in two prophetic warning dreams, one 2012 and one in 2014. It behooves every sincere believer in Christ, especially those in the Puget Sound region of the Northwest to take heed, pray, and make appropriate steps to safe guard their lives, and the lives of their loved ones. Further, we need to do our best to warn others who live in the destructive path of MT Rainier. The current volcanic activity in Hawaii and other parts of the Pacific Ring of Fire are warnings, a prelude for a soon to come eruption of MT Rainier. These volcanic and earthquake activities are not mother nature or the false idol of Pele causing the eruption on Hawaii’s big island or other various places. All the increasing earthquake and volcanic activity is God raising his voice concerning the end of this age. “And when you hear of wars and rumors of wars, do not be alarmed. This must take place, but the end is not yet. For nation will rise against nation, and kingdom against kingdom. There will be earthquakes in various places; there will be famines. These are but the beginning of the birth pains” (Mark 13:7-8). You can order the small book on Amazon.com or on Barnes and Noble.